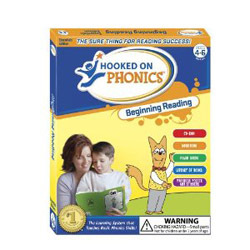 Hooked on Phonics was created in 1987 by a father whose son was struggling to read. To help his son, he developed a systematic in-home phonics program for children. With your help we can reach more people and let them know about Hooked on Phonics whether this product works or not. I was sent an email from HOP stating they saw I tried to make a purchase and didn't but if I can back in 3 days I would receive a discount and bonus CDs. Once I submitted my order they did not give me the bonus cds and said I had to purchase a kit from K to 2nd grade when I only needed 1st. The email did not state what I had to buy to receive the bonus cds. Be careful. I have not tried the product yet. I hope to get a better results than customer service I received. Yes, da product worked for me two. I can speal better and I even red a on hundeeread paige book.